Detroit's population has declined from nearly two million in 1950 to barely one million now. The metropolitan area has grown to five million. 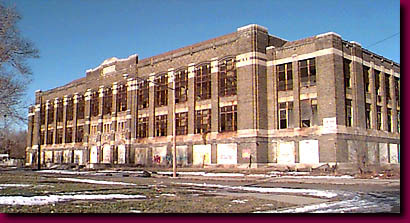 With fewer students to educate and less funds for many activities, it was inevitable that schools, like Detroit's Northeastern High School and libraries would be abandoned like the factories and homes that surrounded them.